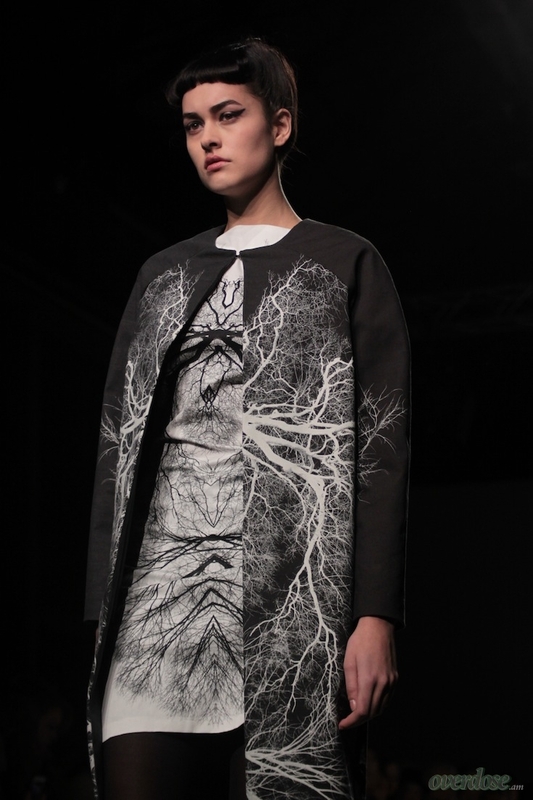 With her show ‘Rooted Heart’ Nata Ryzh wanted to create a collection that felt organic, finding one’s origin by going back to the roots. Ryzh, like Winde Rienstra, was inspired and intrigued by Japan and its mysterious and traditional culture. To build up the tension a loud heartbeat was heard throughout to room, followed by relaxing music that reminded me of a Japanese botanical garden. With hair and make-up as a modern interpretation of the geisha-look, the models showed the mainly loose and flowy clothes. 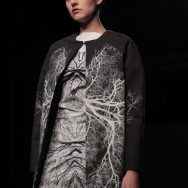 The collection tried to find balance between the natural and fluid and the man-made heavier structures. This translated into a silky dress paired with a heavier cape or a loose-fitting blouse and long skirt made of a stiff fabric. Ryzh really wanted to show a lot in this collection, which resulted in many great individual pieces and looks, but was a bit at the expense of its coherency. Take for example the knitwear, which Ryzh wanted to incorporate to add some luxury. The two knitted outfits did, however, look quite odd with the other looks and didn’t fit the theme very well. 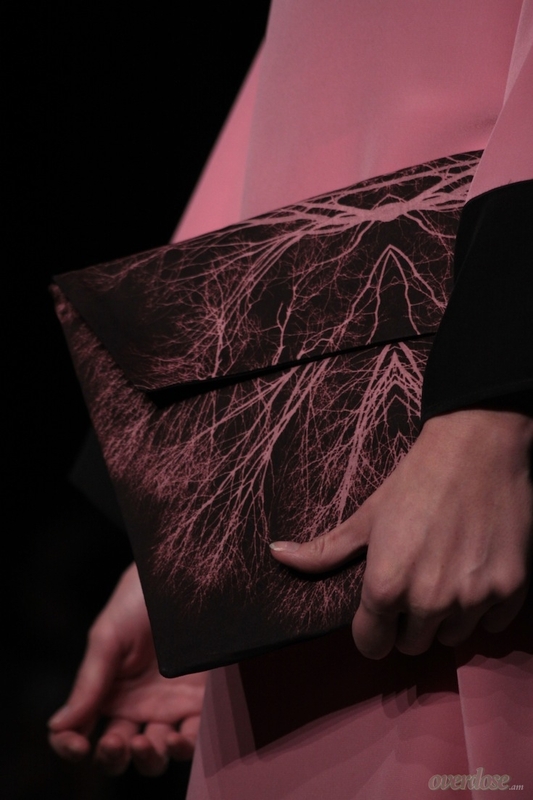 What I liked most about the show were the striking prints. 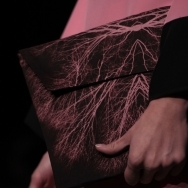 They were inspired by a heart, vessels and roots and designed by Ryzh herself. It connected different looks of the show and the pieces with these prints were also the ones that stood out most. They were my favourites of the night and if I were to pick something to have in my wardrobe I would have a very hard time choosing between the two printed maxi-dresses, the clutch with pink roots-print or the kimono-inspired jacket.